Check-in is at 3:00-7:00 p.m. Late arrivals can be accommodated by speaking with the innkeeper for instructions regarding entry into both the house and your room. Arrangements for early check-in to drop off bags and pick up keys are available. We welcome telephone calls before your arrival to confirm arrival times. Can I access my room early? We welcome early arrivals, 12 pm to 3 PM, with early notice as we can often get your room ready first. We do guarantee your room readiness by 3 pm. Checkout is at 11:00 a.m. If you need a later checkout, please speak to the innkeeper to see if it is possible as we need time to prepare the room for the next guests to arrive. Do I have to leave a credit card number even if I pay cash? Yes, we must have credit card on file for incidentals and security. Do I need to give a credit card number even if I am using a gift certificate? Yes, our reservation program will not take a reservation without a credit card. It is mandatory for ALL reservations even if using a prepaid gift certificate. Does Captain Freeman Inn offer discounts? Yes, but they must be requested at the time the reservation is made. To go bags can be prepared for your day trip to Nantucket / Martha’s Vineyard with advance notice the day before. Yes. Each morning we serve a hot breakfast, which rotates between a sweet and savory entree. We always have the option of oatmeal, granola or plain scrambled eggs and toast. Fresh fruit, a first course of scones or muffins and an Intermezzo of homemade sorbet is also included with your breakfast. Yes, with advance notice. If you have special dietary needs, it is imperative that you inform us of your needs when you make your reservation. What amenities do you offer in your rooms? Mini-refrigerator in some rooms and in shared areas. Yes, we offer complimentary Wi-Fi. Just ask for the guest code when you check in. 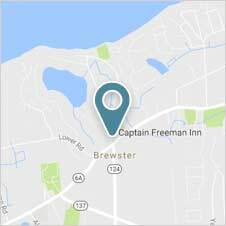 Where is Captain Freeman Inn located within Cape Cod? We are a 10 minute walk to Cape Cod Bay on the North side of Cape Cod and midpoint between the start of Cape Cod in Sandwich and the very tip of Cape Cod in Provincetown. You will need a car as our Cape Cod’s transit system is not fully developed. I need help planning my stay at the Captain Freeman Inn. Can you help? Please click here to visit Captain Freeman Inn website page that lists attractions and activities on Cape Cod. Please click here to visit Captain Freeman Inn website page that lists restaurants. We love to help customize your dining experience to both the places you visit and to your love of food. 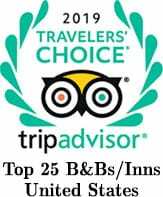 Please click here to visit Captain Freeman Inn website page that describes our beautiful little town of Brewster and the 12 top things to do. Please click here to see the link describing how we Care deeply about Cape Cod and Brewster. This location you are visiting is a remarkable slice of nature’s heaven. Is there really a Captain Freeman? Yes, Captain William Freeman was a Brewster sea captain that lived from 1820-1911. Check out this blog link for more details. Yes, we have complimentary onsite parking on our grounds in front of the house. Do you have a Tesla Charger? Yes, we have complimentary Destination Tesla charger for use of our guests staying at the inn. I will be traveling on a motorcycle. Is there a cement pad where I may park it? Is there a place for smoking? The Captain Freeman Inn is a non-smoking establishment, however, there are outside areas for smoking. What do I do if I lose or can’t find my key? Just call the main number (508-896-7481) and someone will assist you. Are there any curfews at Captain Freeman Inn? Each guest has a front door key and a room key, so you may come and go as you wish. We do ask that you be mindful of other guests when you enter and leave the premises. Will my room be cleaned every day? We will perform a daily service each day which will include making the bed, emptying trash cans, cleaning the coffee area, cleaning the bathroom and resupplying towels. Your sheets and towels will be refreshed every three days, unless asked otherwise. Is lunch and dinner available at Captain Freeman Inn? We do not provide any meals other than breakfast. Our restaurant list includes places for typical and expected Cape Cod lunch fare, Lobster Rolls and Fried Clams as well as regular dining. Is there a sitting area in the home other than the guest rooms? Yes, there is a living room with seating, a front dining room with tables that work well for puzzles, card games, covered porches on three sides of the Inn including the outdoor breakfast dining area that is screened in, chairs overlooking the large garden areas in the back and 4 comfortable seating areas around the pool.